Visit Pacific Whale Foundation’s free Coral Reef Information Station at Ulua Beach in Wailea to learn the names of the fish that you see while snorkeling. Ulua Beach is perfect for beginning snorkelers and this information station is a great place to learn about the reef and how you can protect it as you explore it. Free use of fish i.d. cards and reference books. 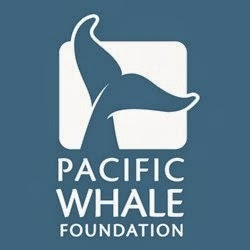 Pacific Whale Foundation offers Maui's and Hervey Bay's Top Rated Eco-Adventures. 100% of all profits from our eco-adventures help fund our research, conservation and education programs. Join us for Whale and Dolphin watching, Molokini, Lanai and Turtle Arches Snorkeling, Sunset and Dinner Cruises, along with specialty cruises such as Full Moon, Stargazing, Island Rhythms cruise with Marty Dread, and Private Charters. Open Mondays, Tuesdays, Thursdays, Fridays and Saturdays, from 8 am to 11:30 am. For information, call Pacific Whale Foundation at (808) 249-8811 ext. 1.